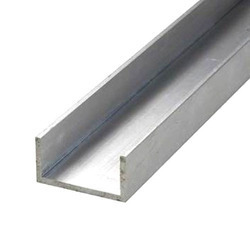 We are the reckoned manufacturer, importer and exporter of supreme quality Aluminium Products such as Aluminium Alloy Rod, Aluminum Pipe, Aluminium Sheets, Aluminium Round, Aluminium Alloy Plates and Aluminium Fasteners. The offered products are manufactured with the help of finest grade Aluminium and sophisticated technology in compliance with set industrial standards. These products are widely used in various industries such as, Construction, Mechanical, Automotive, etc. 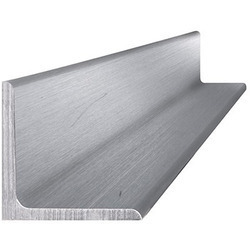 Our domain experts havehelped us to come up with a wide array of Aluminum Channel. These offered product are fabricated using best quality raw material. These products are used in various industries. We offer our products in many different designs to meet the specific demands of our clients. Apart from this, we are offering these products at leading market rates. Backed by rich industry exposure, we are engaged in offering an extensive range of Aluminum Coils. The offered range of coil is made from optimum quality raw material under the firm assistance of best industry experts and is highly acclaimed for its durability, accuracy, reliabilityand longer service life. The offered range of products is tested on various parameters to follow the ongoing market trends. We assure timely delivery of our offered products. These products are used for insulation, utensils, tanks, boilers, sugar plants and distillery plants. Temper: Alloy 8001, 1011, 19000, 48000 etc. We are one of the conspicuous names in the industry for inclusive range of Aluminum Flat for our valuable customers. Our range is manufactured using best quality material that is purchased from the repudiated market vendors. Used modern machines and advanced tools to design the entire range of products. Our range is widely used in various industries due to durability and long life. Apart from this, we are offering these products at leading market rates. 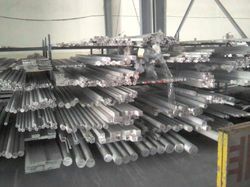 We are stockist , supplier and exporters of aluminium rod and bar . 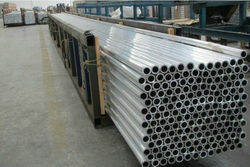 We have ready stock of all the sizes of aluminium rod of any grade .we deal in small size to big size of aluminum rod. we deal in round , hex and square . We offer our clients a highly durable range of Aluminum Angles that is used extensively in various sectors of the industry for storage purposes. For the manufacture of these angles, we obtain high quality raw material from the reputed vendors. 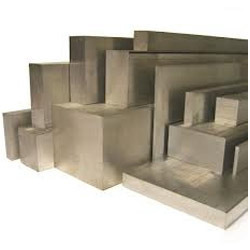 Our clients can avail from us an excellent quality range of Aluminum Chequered Plate, which are manufactured from high grade quality raw materials. These Aluminium Chequered Plates can be customized as per our customers specifications and it can be availed at industrial leading price. 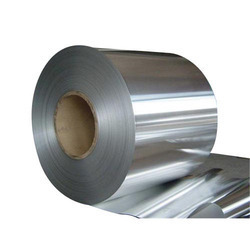 We are the prominent stockist and suppliers of high quality aluminum coil, which are widely appreciated for their high tensile strength. Catering to the requirements of diverse industries, these coils have a high demand in domestic as well as international markets. The aluminium coils are available in different grades and width & categories. These can also be provided as per the customer's requirements / specifications. We are Suppliers and Exporters high grade Aluminium Pipe that is popular for its high strength and other attractive features. Our Aluminium Tubes are popular among the clients and thus are on a huge demand.The aluminum pipes we offer are appreciated for their excellent features such as durability, sturdiness and dimensional accuracy. These are available in different sizes, shapes and grades such as HE 30, T6, 6061, 6063 etc. 1) Alloy: 1060, 1070, 2011, 2014, 2017, 2024, 3003, 4032, 5052, 5056, 6011, 6060, 6061, 6063, 6082, 6106, 6201, 6351, 6262, 6463, 7005, 7050, 7075, etc. 3) surface treatment: plain, anode oxidation, plastic powder coating, electrophoresis, polishing, etc. quote on sample, drawing and material code. 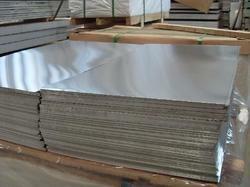 We are counted among the reputed manufacturers, stockist , supplier and exporters of Aluminum Sheet. 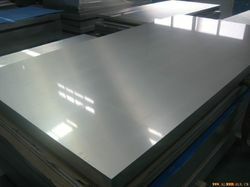 We use the best quality Aluminum alloy in fabricating Aluminum Sheet. 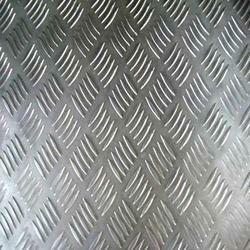 Our Aluminum sheets can be easy molded into desired shapes and sizes as per the requirement. Incoloy A-286 is an age hardenable, Iron-Nickel-Chromium alloy is designed for applications requiring high strength and good corrosion resistance at temperatures up to 700°C (1290°F). Like the other exotic materials in the Inconel family, Incoloy A286 has outstanding corrosion resistant properties and can be made into a variety of fasteners including hex bolts, washers, nuts and studs. Additional applications of Incoloy A-286 can be found on Jet Engines, Super Chargers After Burner Parts. 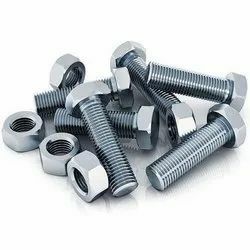 For Incoloy A286 studs, nuts, bolts, and fasteners, contact us for an immense availability of hard to find fasteners. SIZES FOR INCOLOY A-286 GRADE NUTS ARE AVAILABLE IN RANGE OF 0.5 - 3 INCHES RANGE. EN 91 EWP BUS BARS AVAILABLE IN 6 MM THICK , 10 MM THICK & 12 MM THICK , WIDTH RANGES FROM 12 MM TO 200 MM WIDTH.READYSTOCK MATERIAL AVAILABLE , MTC WILL BE PROVIDED ALONG WITH THE MATERIAL. We have gained rich industry experience in this domain of in offering a wide range of Huge Steel Pipes to our valued clients. These pipes are easy to use and provide to the clients with best performance. These offered pipes are first quality tested on assorted standards of quality by quality checker team to assure that quality approved products is delivered to our customers. Furthermore, offered range is available in reasonable prices. 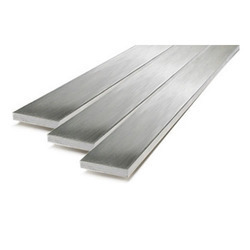 We are manufacturer and trader of Aluminum Square Bar. 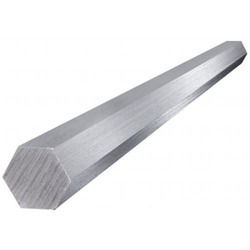 These Aluminum Square Bar are available at very low price.